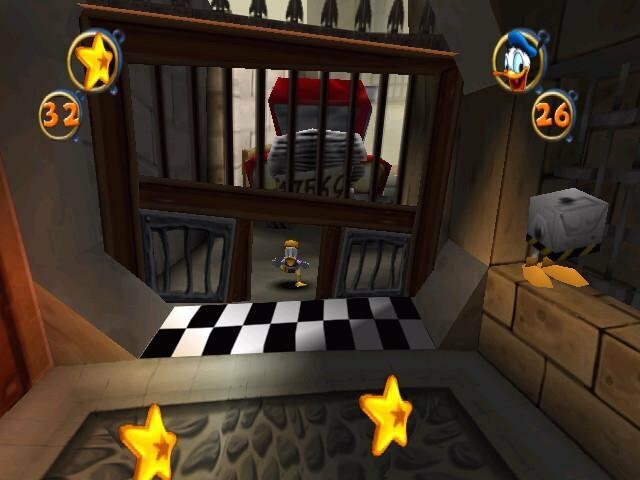 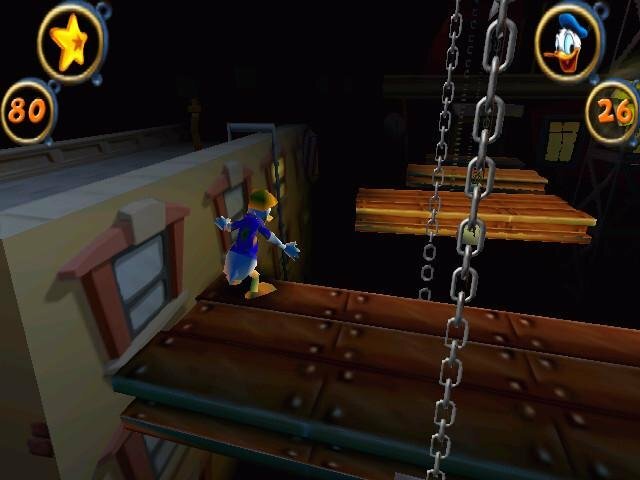 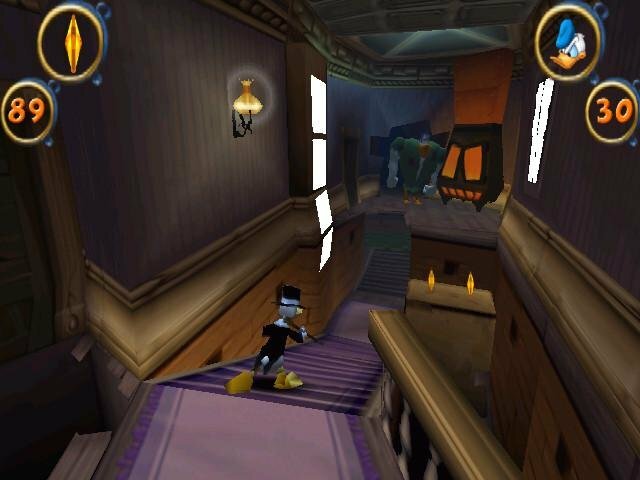 A platformer where you collect floating stars instead of Wampa fruit and defeat Merlock instead of Neo Cortex, Disney’s own Donald Duck Goin’ Quackers (Quack Attack in Europe) is probably the next best thing to playing Crash Bandicoot off the Playstation. 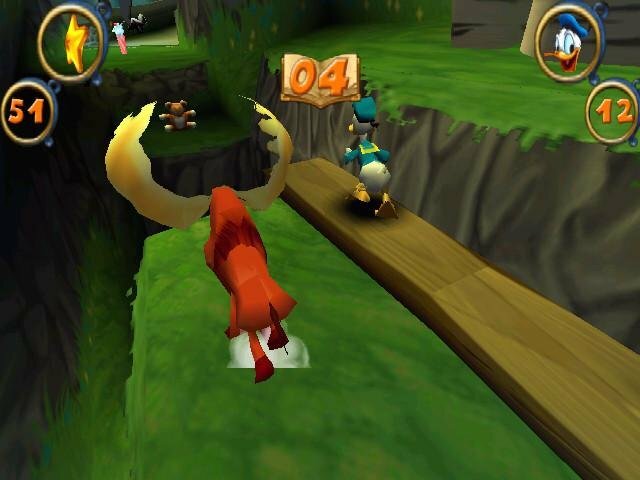 Even though this game’s Crash clone-status is pretty obvious, it does do one or two things better than its source material. 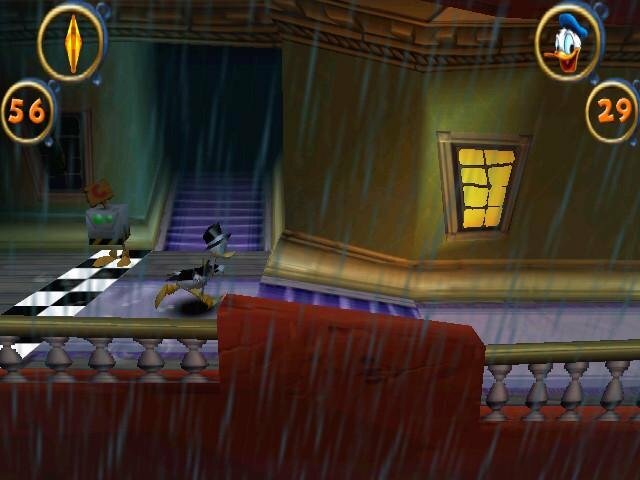 The 3D engine used on this PC port is slightly more refined than its PlayStation counterpart, plus it enjoys a higher framerate than on the PS. 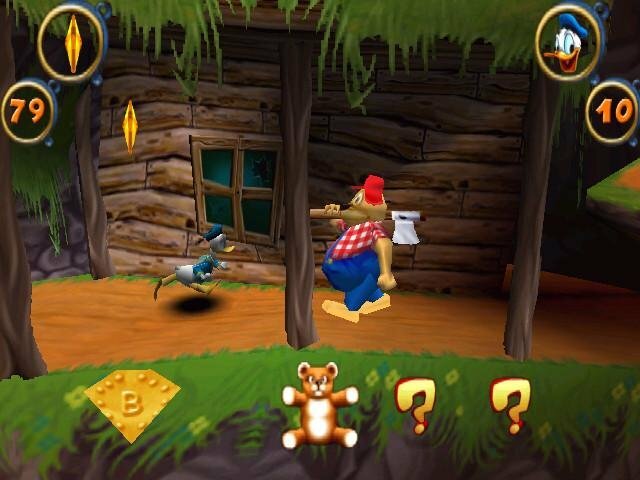 The game also saw light on the GameBoy Color (as a 2D version) as well as the GameCube, Dreamcast and PlayStation 2. 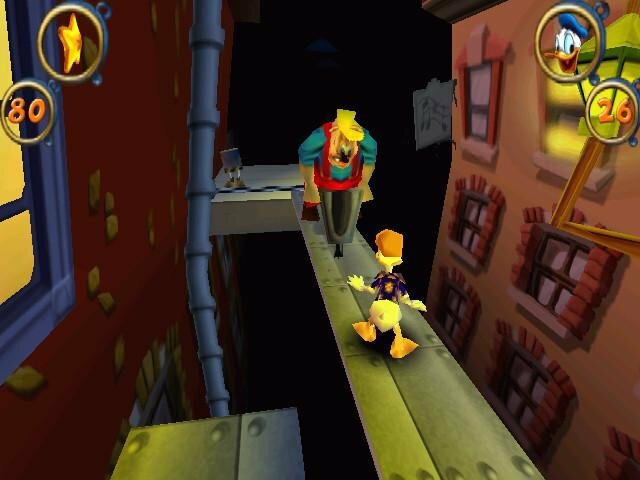 In fact, it’s pretty unfair to call this game a PlayStation port as the PC version was developed alongside its console counterpart. 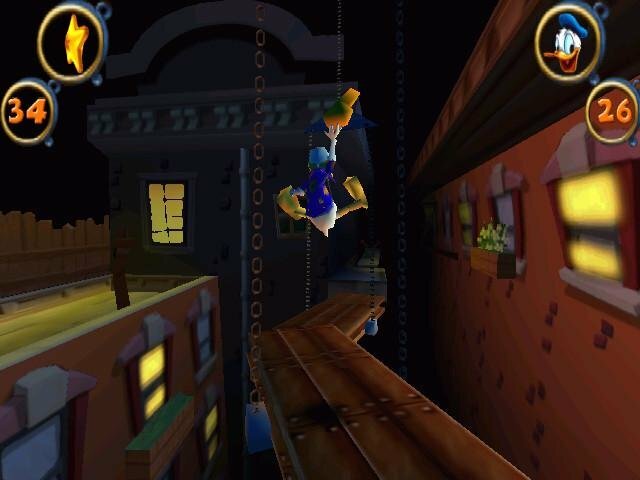 The object of this platformer is to navigate through 25 levels while avoiding dangers and fighting four bosses along the way. 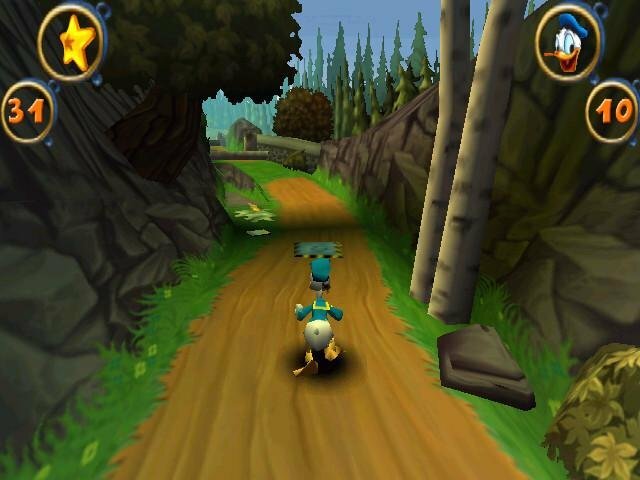 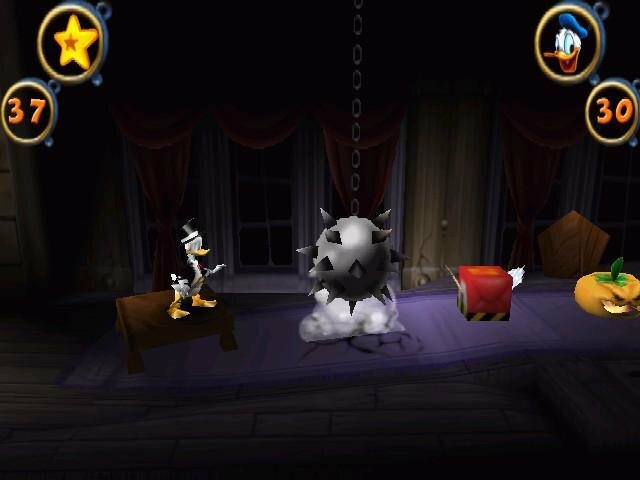 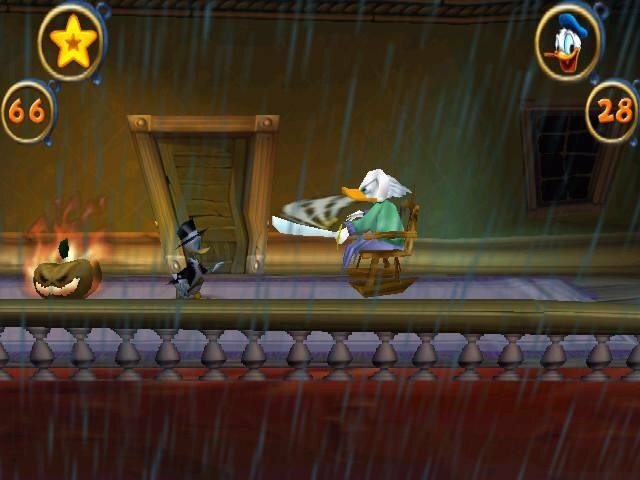 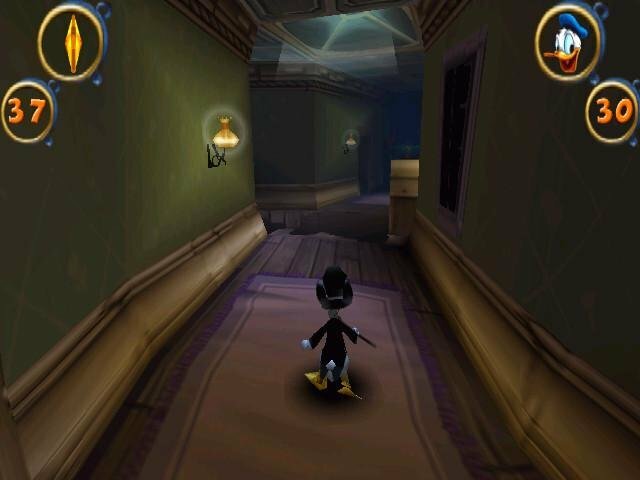 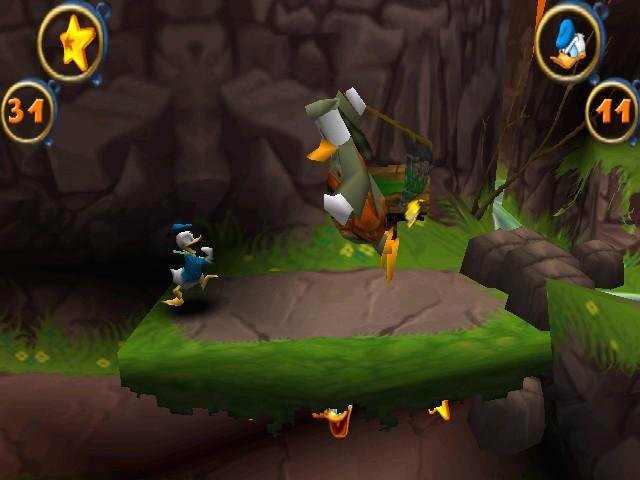 Like many other Disney games, Goin’ Quackers is pretty much a kiddy oriented game wrapped in lighthearted humor and a very relaxed difficulty. 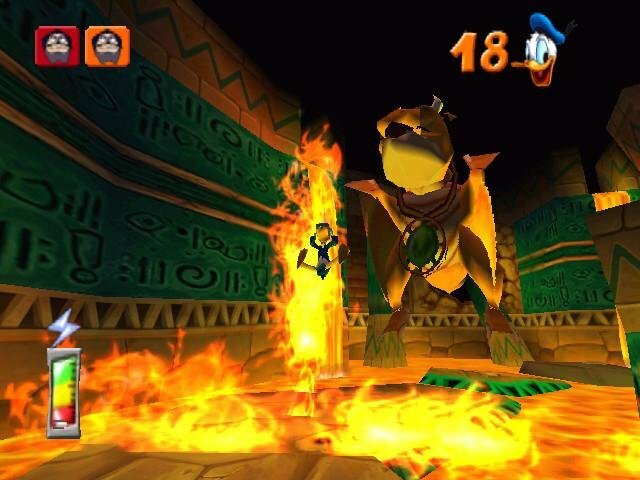 It’s so easy, in fact, that you can complete all of its 25 levels in four hours or less without so much as beating a sweat. 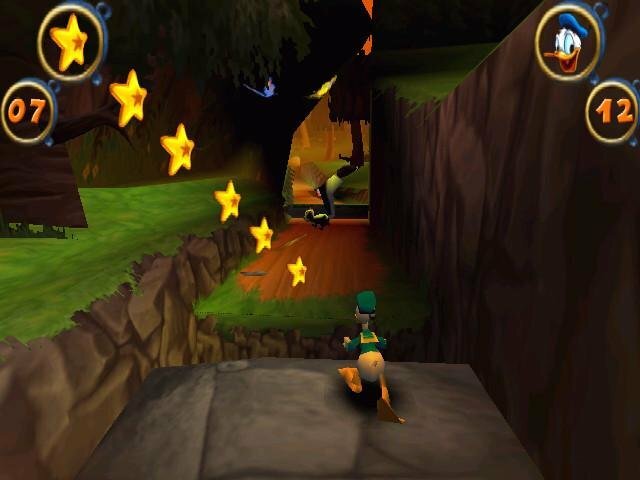 Obviously intended as a child-only game, Goin’ Quackers will only feel challenging to those who’ve never touched an arcade game, ever. 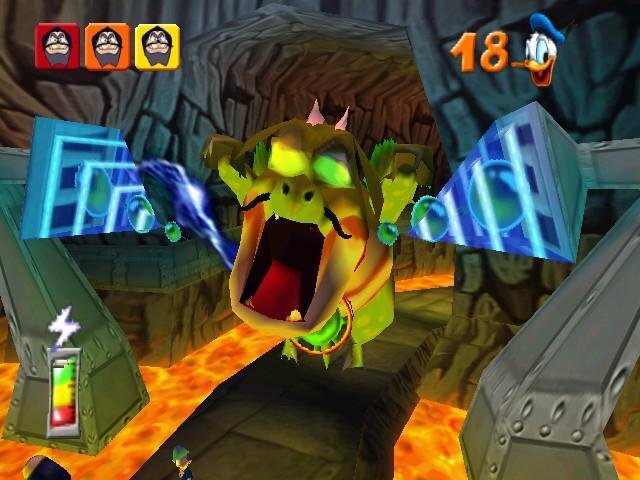 The game’s 25 levels are wrapped into four hubs containing 6 levels each. 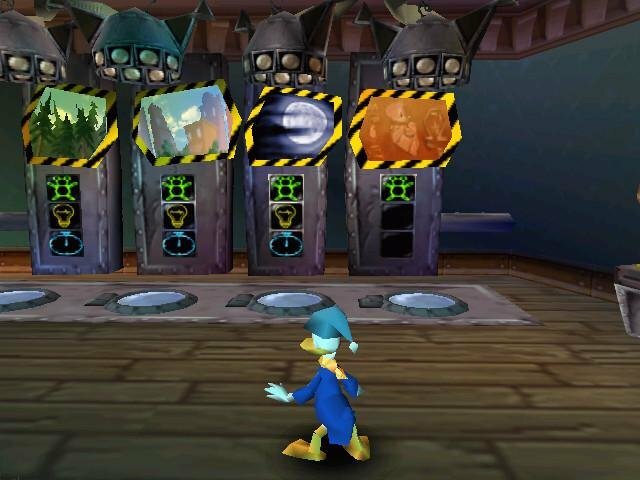 All four boss fights are creative, most notably the last one, though none are remotely hard to figure out. 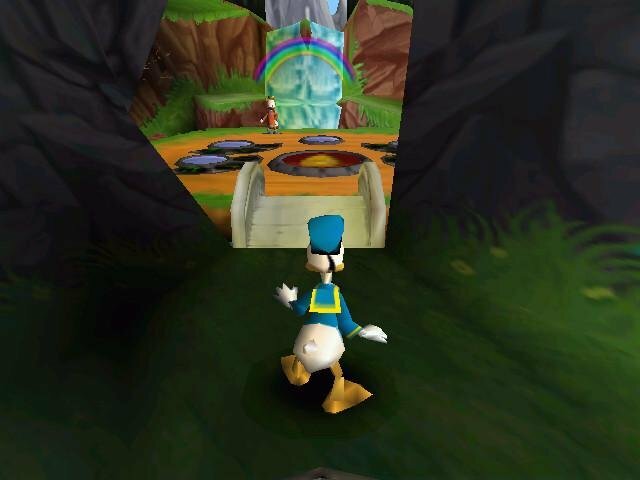 There’s some sense of freedom as the game allows you to warp between worlds to replay already completed levels in either traditional or time-trap mode, potentially expanding gameplay time. 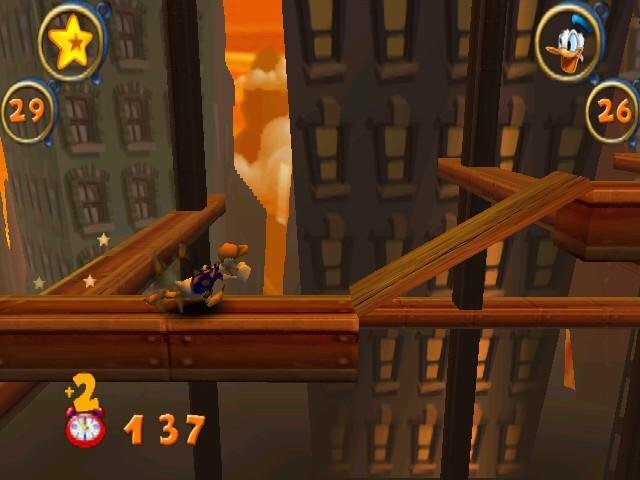 And that’s pretty much it. 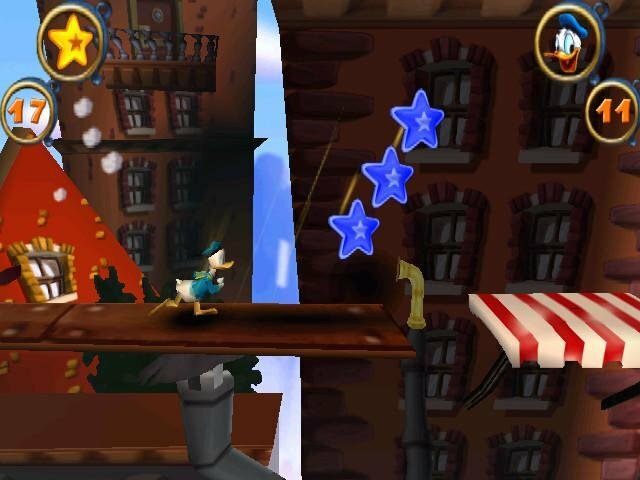 This is a very relaxed arcade platformer aimed at kids, with enough quality gameplay and humor to keep them around.